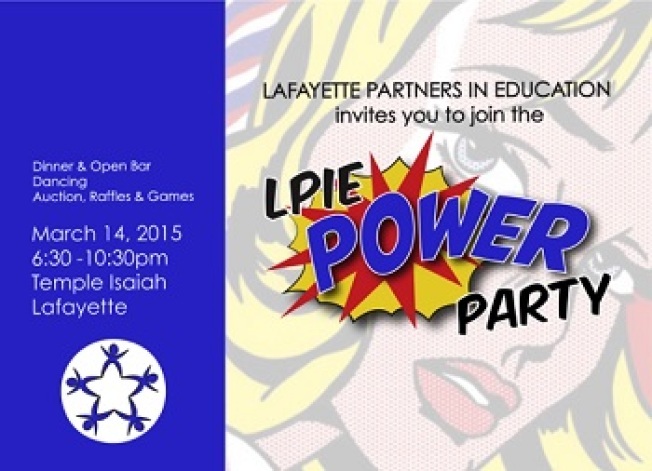 Lafayette Partners in Education presents the LPIE “Power Party,” an exciting fundraiser to benefit local schools and their students. Enjoy gourmet appetizers, dinner, an open bar all night long and participate in raffles, games, and live and silent auctions. Dance the night away with music from The Accents, a live 80’s cover band. The Power Party is sell-out event. Tickets are $100 until February 1, 2015. They increase to $130 after February 1. Casual cocktail attire is encouraged and this event is adult-only.